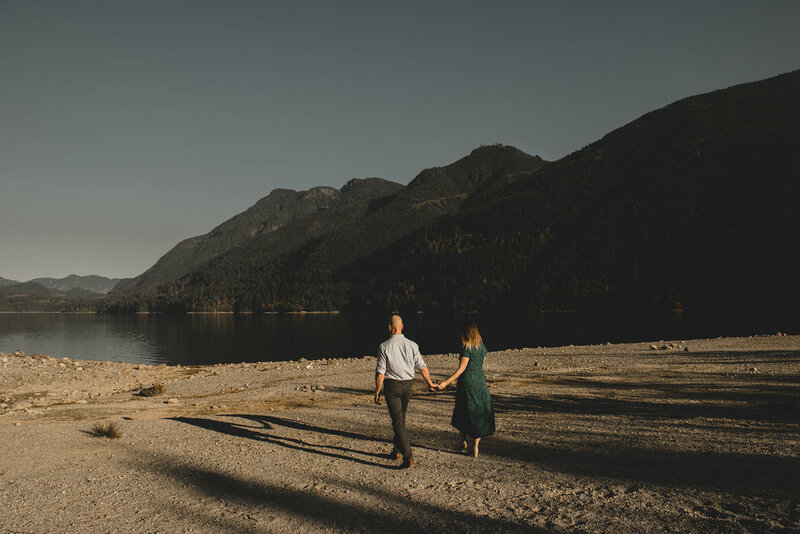 Alouette Lake located in Golden Ears Provincial Park has become one of our all time favourite locations to explore for engagement sessions. 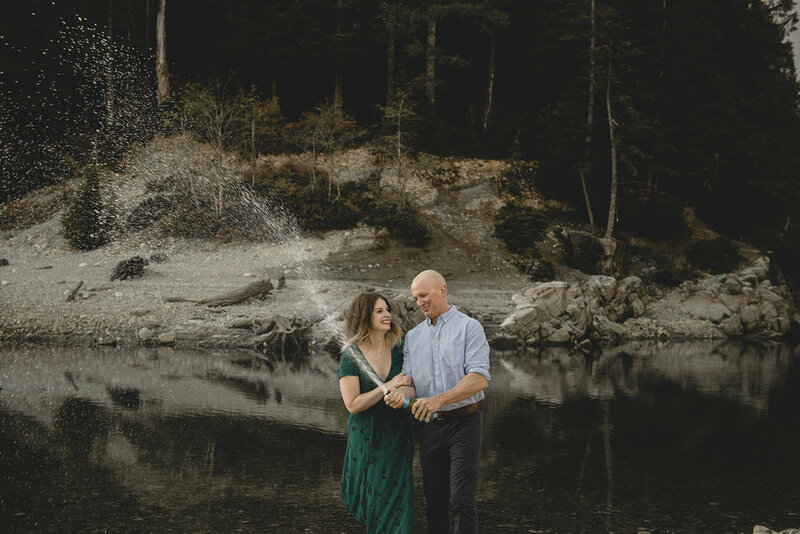 Without question, each and every time we visit this beautiful slice of west coast paradise we stumble on a new area that we fall in love with all over again. 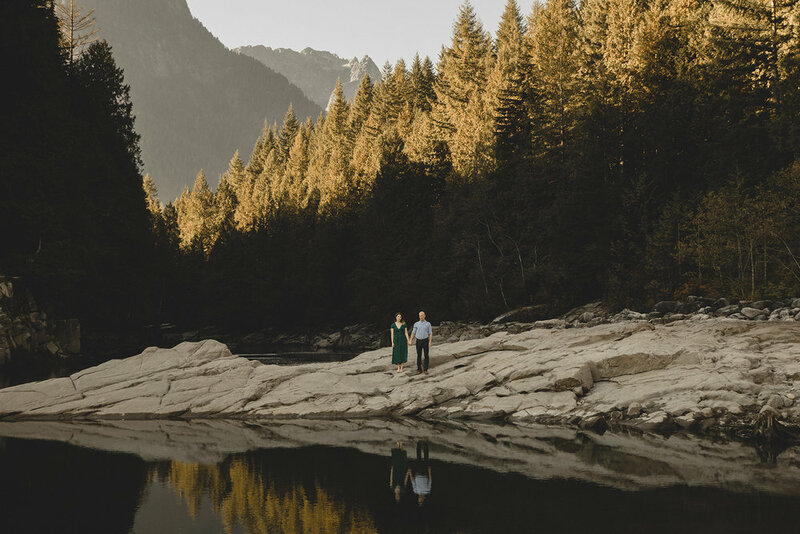 Just one visit to Golden Ears Provincial Park and you will undoubtedly stumble on beautiful mountain views, rivers, endless forest and of course the beauty of Alouette Lake. 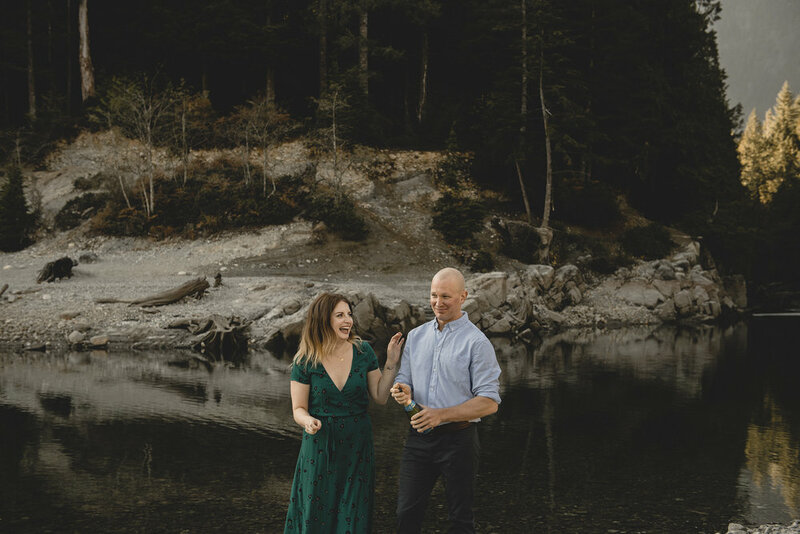 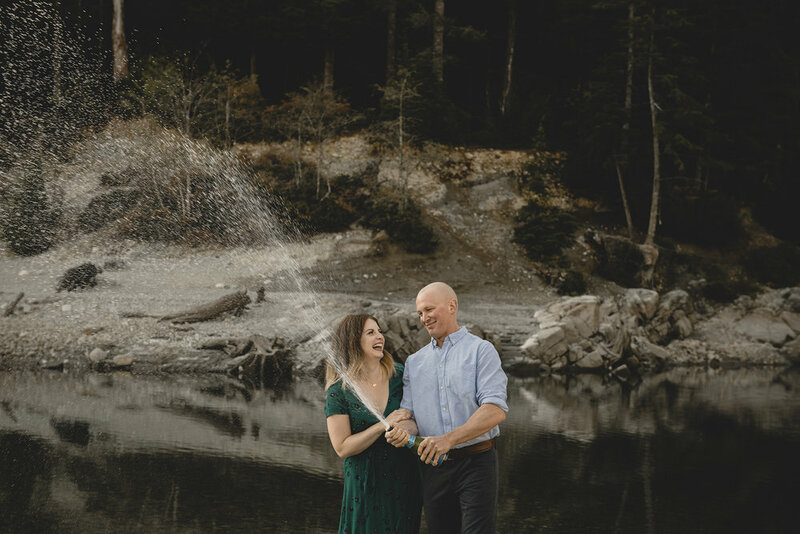 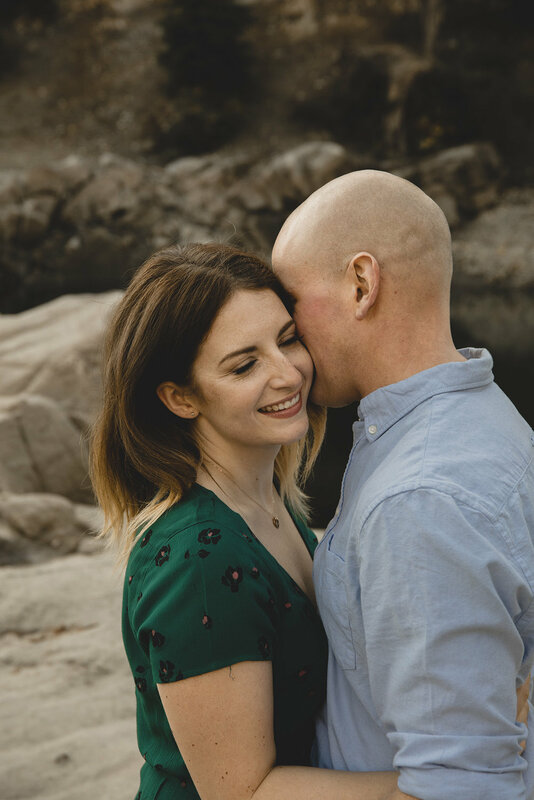 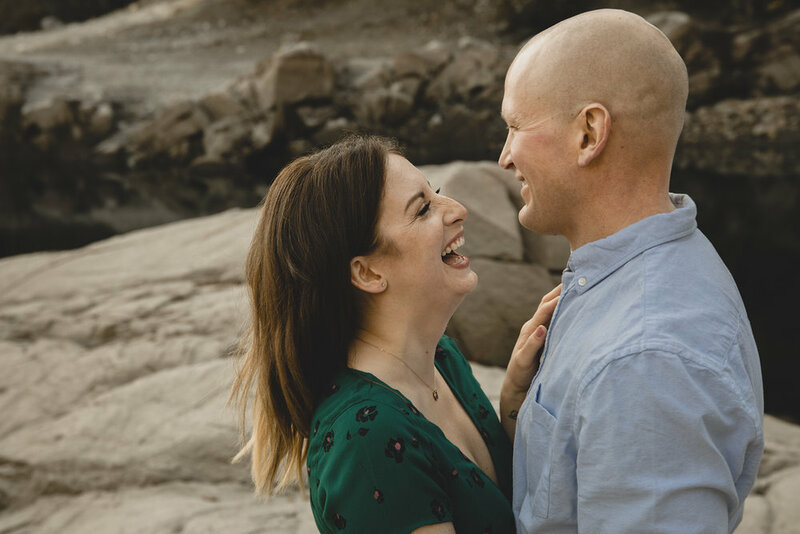 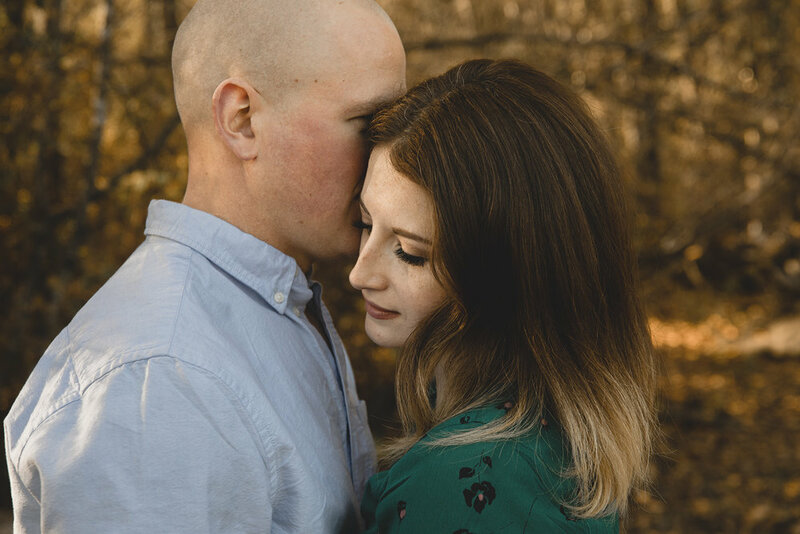 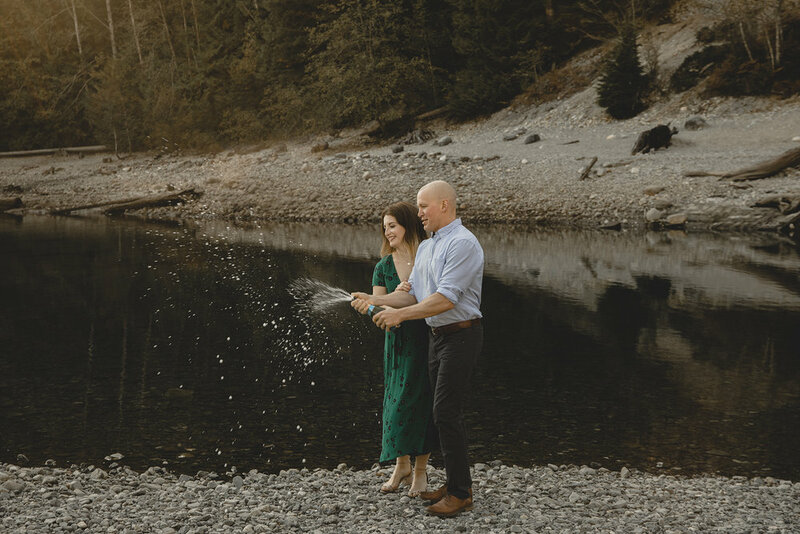 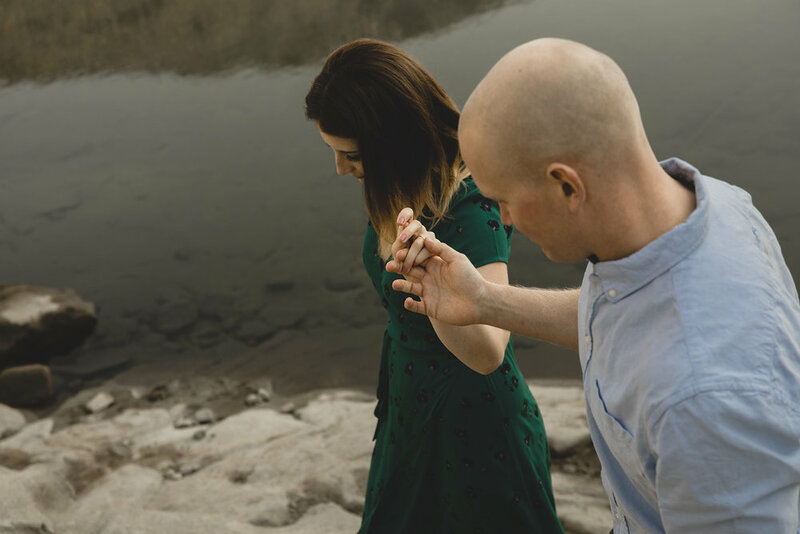 Ryan + Melissa were flexible with where they wanted to have their engagement session photographed and we could think of no better backdrop than Alouette Lake and the surrounding river banks. 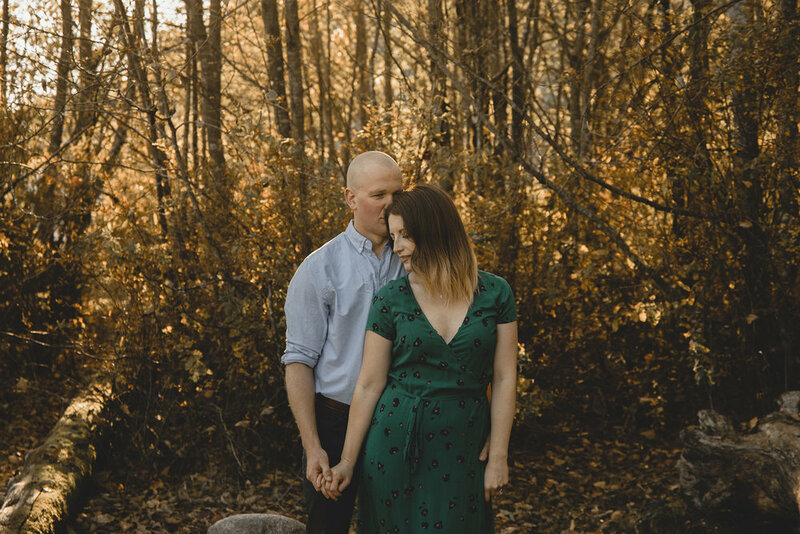 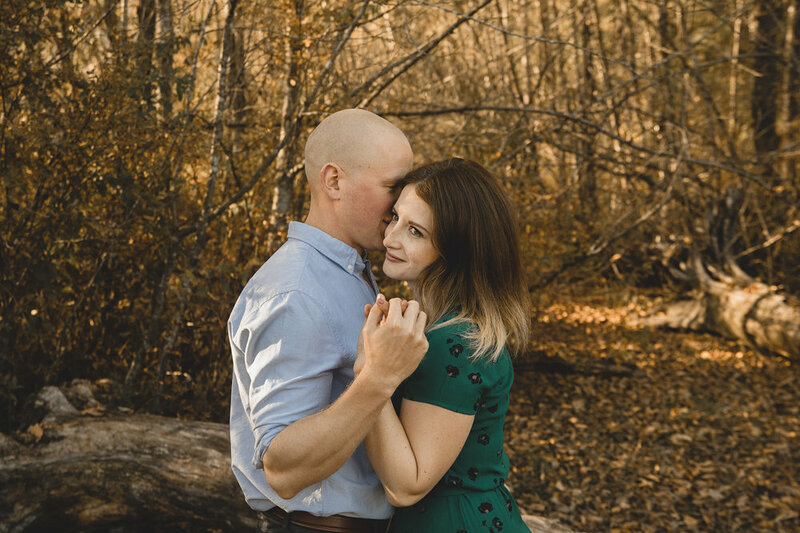 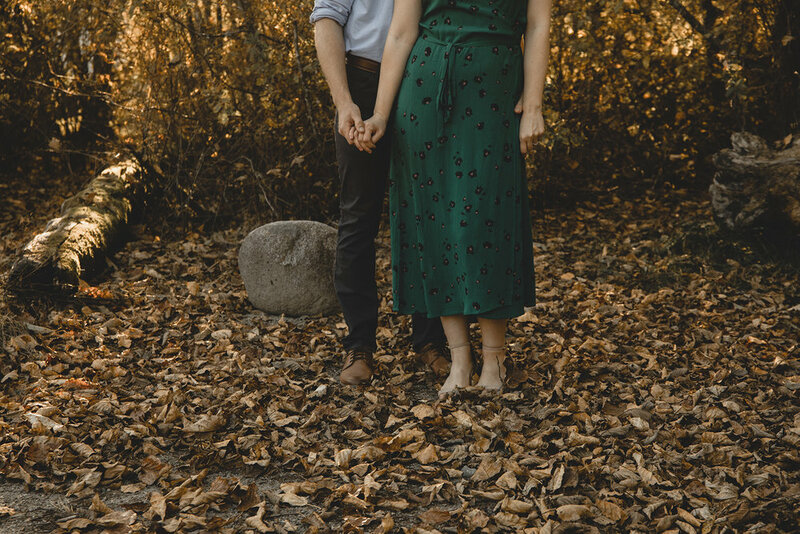 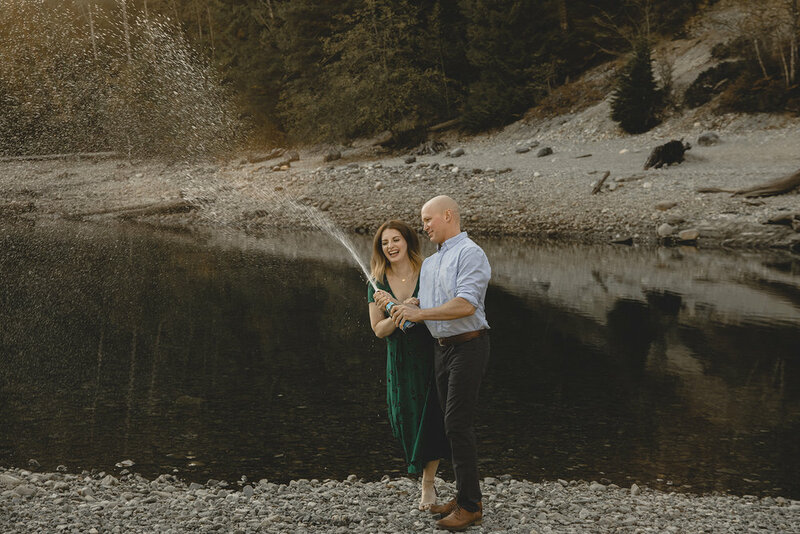 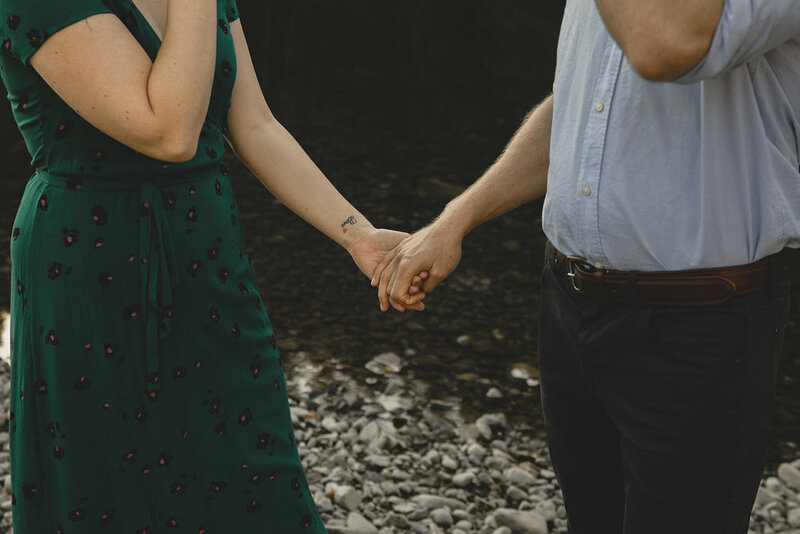 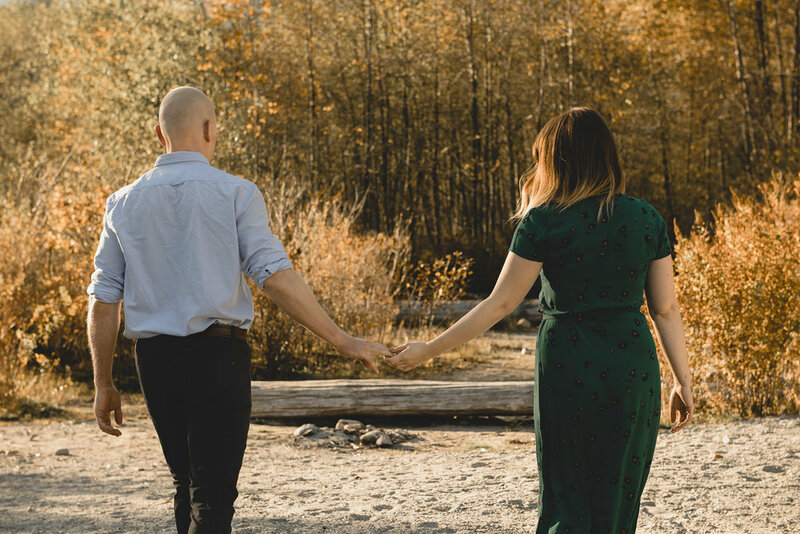 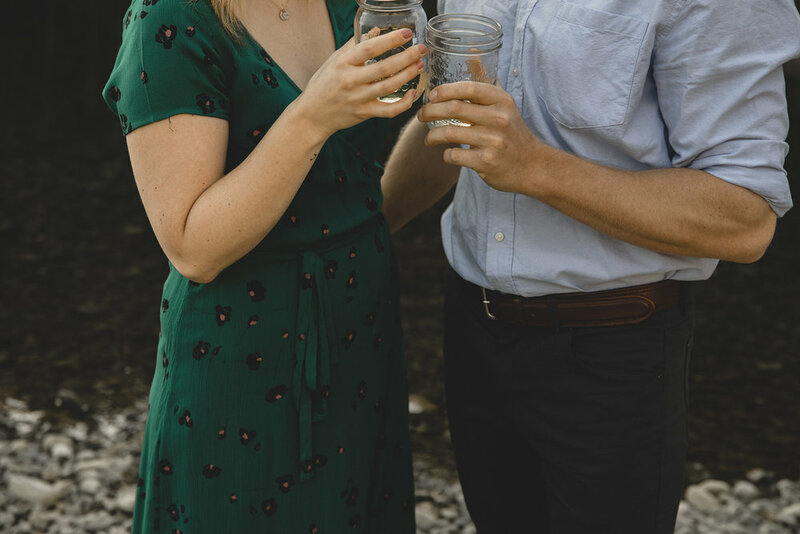 For their engagement session we explored the nearby river bank and made our way to our favourite little beach on the Northern tip of Alouette Lake. 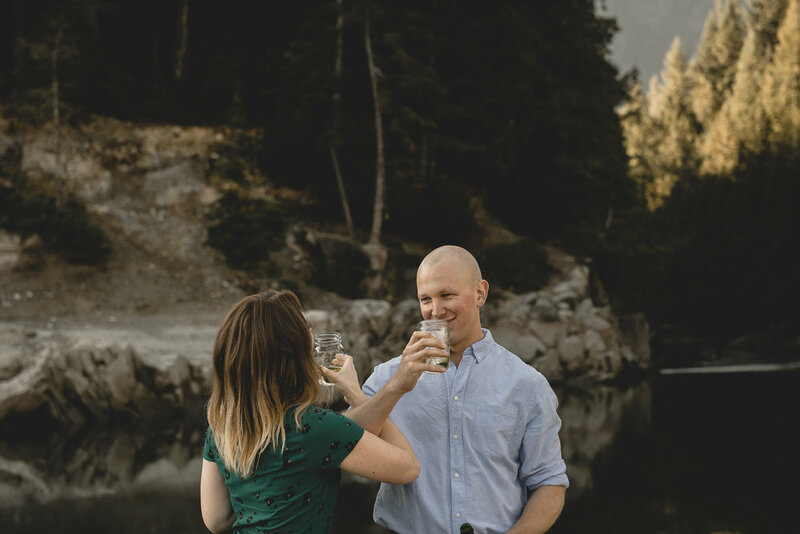 We popped a bottle, took in the incredible mountain views and celebrated their incredible year ahead. 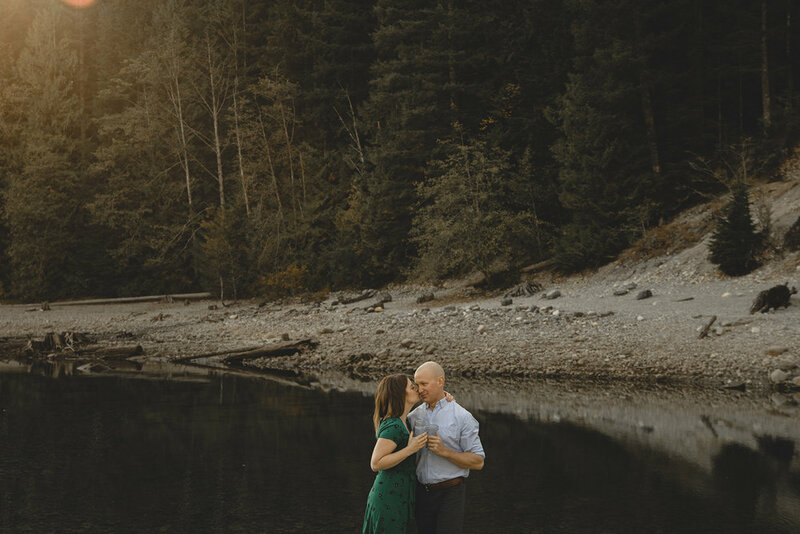 Ryan + Melissa are two of the most incredible humans and we feel so fortunate to have the opportunity to celebrate along side them both and of course document their new journey together. 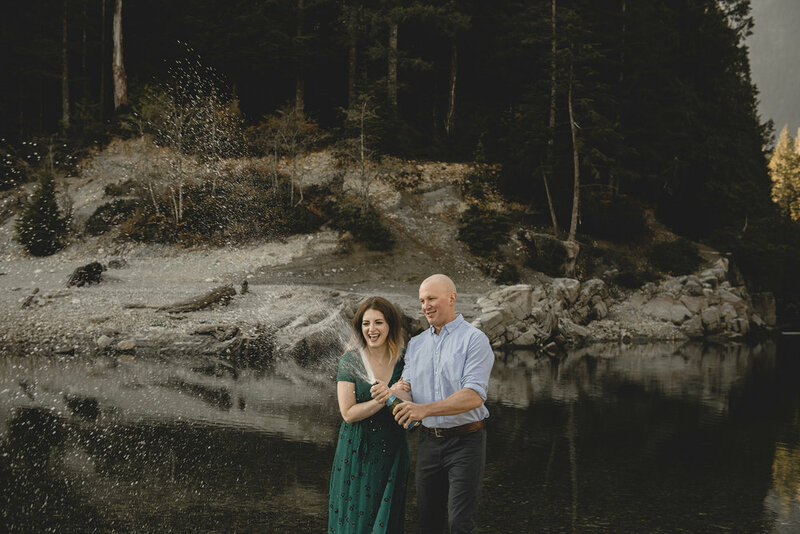 We are literally counting down the days and looking forward to their wedding next May at the beautiful UBC Boathouse! 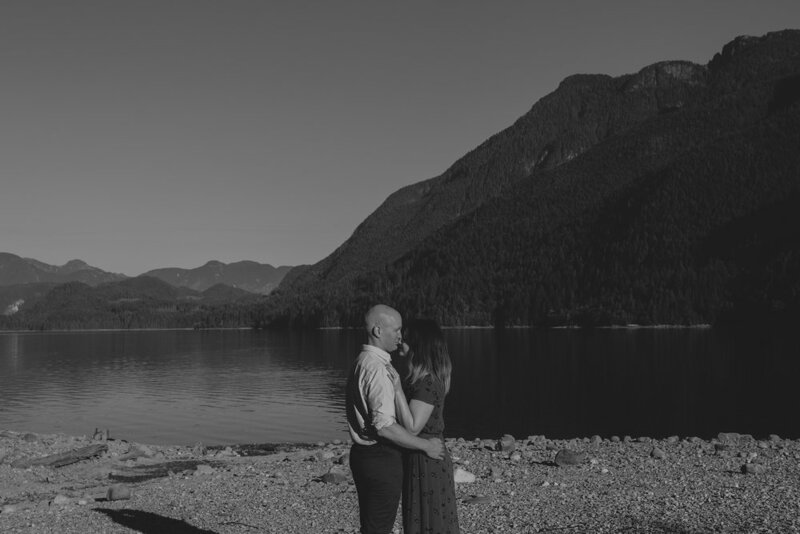 Check out some of our favourite memories from our time with Ryan + Melissa.